It all started in 1993 with a cow step dancing. 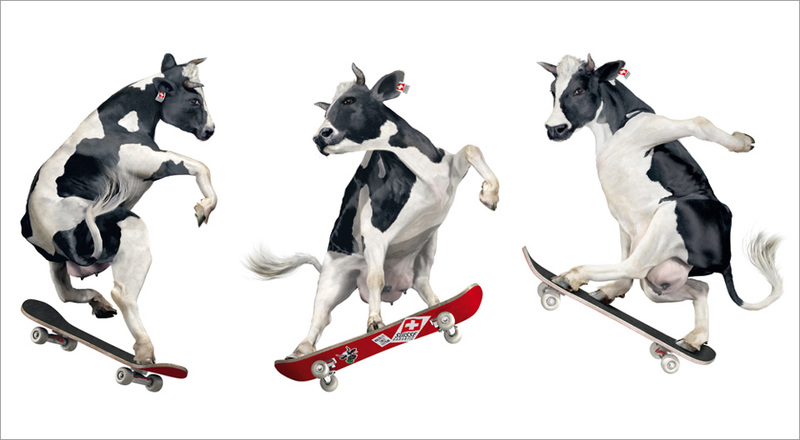 Some people smiled others didn't but SwissMilk has continued down this advertising campaign theme over the decades having a cow named Lovely dancing samba, skeleton riding, playing football, mountaineering and signing capella. Wishing you a lovely weekend with lots of snow and hopefully some sunshine, I am hoping you'll enjoy SwissMilk's latest ad as much as I did.